Friday guest interview with former wrestler Bobby Smedley. So let’s get to it. Welcome Bobby! If you could start by telling my readers a little bit about yourself. 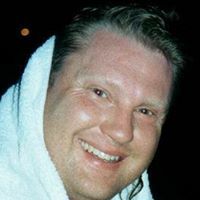 My name is Bobby Blaze Smedley, I’ve been writing for years, mostly doing magazine and promotional type stuff for professional wrestling programs and events. I also had to write many papers while completing my Masters Degree and I actually enjoyed writing. I began writing my first book a little over 5 years ago, and had it published 2 years ago on Aug., 26, 2013. I’m currently working on my second book. Someone who actually enjoyed writing grad papers, I think you’re the first one of those I’ve ever met! haha But seriously, that’s great that you have found something that you love to do. Can you tell us a bit about the book you’ve written? I wrote, Pin Me Pay Me, Have Boots Will Travel that is a memoir about my many years of being a professional wrestler that travels throughout the world. It’s about countries I visited, the people I met, and what’s it like to be on the road 200-300 days per year for many years. Wow, 2-300 days a year is a long time to be on the road. I’m sure there are a plethora of interesting stories in your book from all your adventures! It sounds so exciting! You said it was published two years ago, can you tell us what your publishing journey was like? I chose to go the self-publishing route. The one thing I did find, just in the short couple of years that I began writing my book and looking into self-publishing, was how much and how fast it changed. I’m really pleased that I chose to publish my book in this manner. Self-publishing really has changed over that last few years. Even now it’s changing still. It’s also had an effect on traditional publishing. It will be interesting to see where things go from here. I was always getting asked questions from many wrestling fans through the years about the people I met and the places I had been. With that said, I just started keeping notes about the stories that I had shared and eventually put them into my book. It was always exciting to hear that people really thought my stories were funny and fascinating to them. Ah, the mark of a storyteller! Enjoying the reaction of our listeners is a good indication that you might be a writer. 🙂 I bet you have some really great stories from your experiences as a wrestler. That’s so great that you compiled them into a book. People always love catching glimpses of what life is like for people in interesting jobs. I can see they love hearing your stories by just looking at your following on social media. How long did it take you to build up your numbers Facebook and Twitter? I have a personal FaceBook page that has close to 3,000 people that are mostly wrestling fans. I also have close to another 2,000 people on a FB Fan page. But, I’m really into Twitter. I use Twitter to reach my wrestling fans, fellow authors and other writers and I enjoy that format so much more. I have 30,000 followers on Twitter and my account grows more and more each day. I have been on Twitter for awhile, but it wasn’t until recently that I really started concentrating on using it more effectively. I can also be found on Instagram. Follow me on Twitter & Instagram @bobbyblaze744. I’m also currently working on a new website. That’s so great! I know I’ve been really concentrating on building up my author platform too. Those are numbers I hope to reach some day too but I’m trying to be patient and focus on gaining followers that will be engaged and interested in what I’m writing about. But that kind of growth really does take time and effort! Do you have any tips or advice for other authors who are trying to build up their own networks? Find whatever social media outlet you like the most and then concentrate on building your brand on that format first. Try to master just one for your book(s) or business, then find another and build it up and repeat. I wish I had known how to use Twitter earlier, but now that I have such a huge base of diverse followers, the potential of getting information out about my book, DVD, or even T-shirts is unlimited to the number of people I can reach. Build one at a time. That is good advice. It is also helpful if you don’t wish to overwhelm yourself. With all the social media options out there now, it can feel daunting to try to set up more than one account at a time. Getting one set up and really growing and then moving on to the next is a great strategy. While we’re on the topic of advice, what is one thing you know now, that you wish you’d known before you published your book? Start promoting and marketing your book at least 6 months or more before you actually publish your book. Also, I think it’s important that I don’t really try to sell my book or shove it in everyone’s face. What I do is, I market my book. I put out the information as to where it’s for sale, or where I may be doing a book signing, but I let the individual decide if they wish to purchase it or not. That’s very practical advice! I’m a sucker for practical advice. 🙂 And I agree about not forcing your book on people. I hate when I see someone ONLY post “buy my book” posts, over and over without any other posts. That makes me not want to buy it just on principle. Thanks for sharing those tips with us! Any last advice for authors hoping to publish their own best-seller? Write, write, and write. Write like you know how to write. Use your own style and stick to what you know. 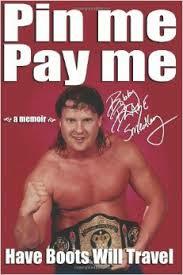 My book is about life, and about professional wrestling. Through many life experiences and being a wrestler I wrote about something that I knew about. Stick to what you know, and again, write, write, write. Practicing your craft if oh so important. It’s always good to keep up on the basics! In keeping with your own advice, are you currently writing on a new book? Yes, I am working on a second book. I have tons and tons of notes and about 13 stories already completed. I hope it will be ready to be published by this time next year. Fabulous! Sounds like you are well on your way to having that done. How about any upcoming events? Do you have anything coming up for those readers near you? I always list all my appearances for book signings, autograph sessions, etc on both sites. Great! Thank you so much for being a guest on my blog! I can’t let you go without asking, where can people go if they’re interested in purchasing your book? IMPORTANT: My book does contain adult language. It’s for a mature audience that understands that this is about one man’s life that traveled throughout the world and saw many things. There are not curse words in it for shock value, but there are plenty curse words, adult language, and adult situations throughout the book as it’s how men talk in the world of professional sports. Thank you for that disclaimer! And thank all of you fantastic readers for joining us today for this week’s interview. I hope you enjoyed it as much as I did! Join us next week to find out who our guest will be.